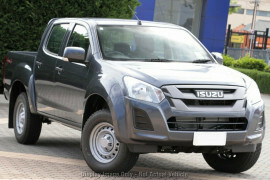 Our award winning Isuzu D-MAX is now joined by the MU-X, our 7-seat family SUV. Both the D-MAX and MU-X come in a range of both 4x4 and 4x2 models; every D-MAX and MU-X we make is built around Isuzu's fuel-efficient, high-torque, 3.0 litre, 4 cylinder common-rail turbo diesel engine. 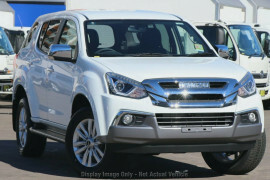 Go your own way with great deals across the D-MAX and MU-X range thanks to Isuzu UTE's Don't Worry, Be Happy Sale! Our comprehensive care package provides you with a 5 year warranty^, 5 years Roadside Assistance & 5 years Capped Price Servicing. No matter where you are or what you're doing, we've got you covered. Our Finance Department has access to a great range of personal and corporate loan options at more than competitive rates. 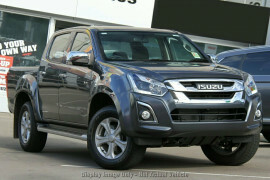 Nundah Isuzu UTE is proud to announce its partnership with Isuzu D-MAX. 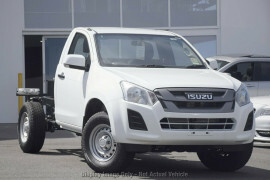 At Nundah Isuzu UTE, we are proud to offer the award winning Isuzu D-MAX ute range. Our customers can take their pick from a range of quality Used Isuzu vehicles and the complete series of new 2017 Isuzu UTEs, including a range of Isuzu 4x4 and Isuzu 4x2 models in both single and dual cab varieties. As a certified Isuzu dealership in Brisbane, we also have an Isuzu Service centre that is fitted with Isuzu specific equipment to ensure that your vehicle receives the highest level of service and care. All our mechanics are manufacturer trained and only genuine Isuzu parts are used on your vehicle to retain its warranty and keep it running smoothly.